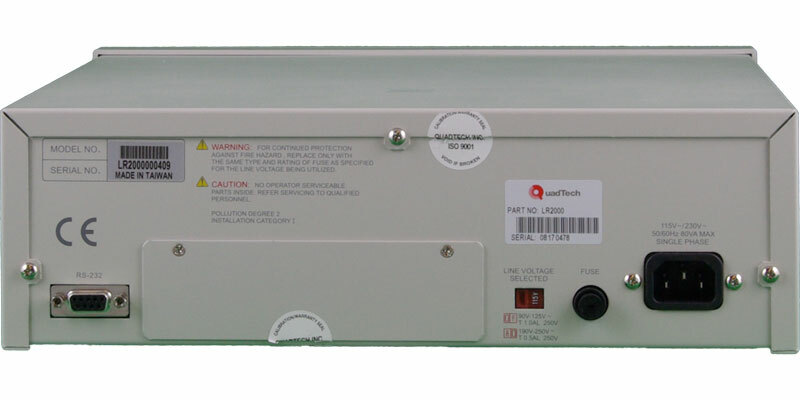 LR 2000 | Milliohmmeter | QuadTech, Inc. 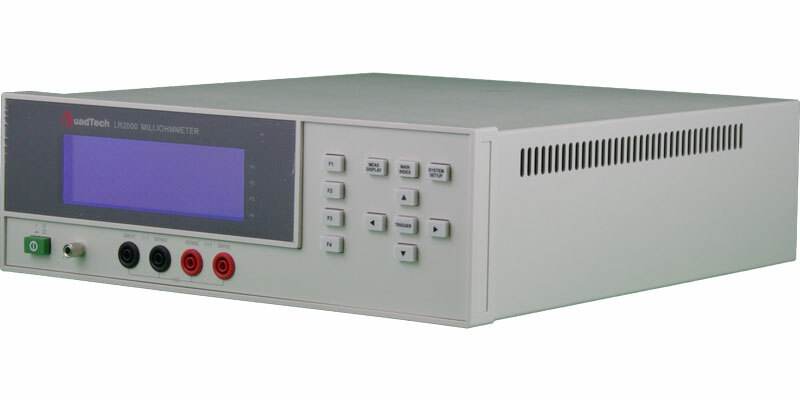 The LR2000 Milliohmmeter with its LCD display and menu-type front panel programming assures that low resistance measurements on switches, relays, cables, and other devices can be made quickly and easily. With a basic accuracy of 0.05% the instrument offers a wide measurement range from 1µohm to 2Mohms. For remote operation and production applications the unit comes standard with an RS-232 interface, plus IEEE-488 and handler interfaces are available as options. For measurement integrity, contact to the test device is made via a 4-terminal Kelvin connection that incorporates an automatic zeroing function to compensate for lead errors. For remote control, or adaption to a production environment, the LR 2000 instrument includes an RS-232 interface as standard equipment. Both an IEEE-488 and a Handler interface are available as optional interfaces.